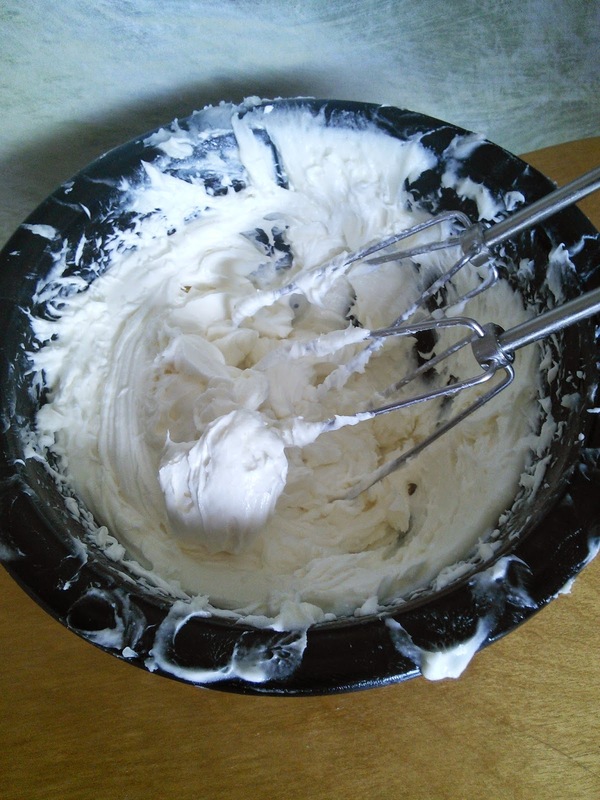 I have discovered a way to make homemade body butter using natural ingredients. This body butter is easy to make and requires four natural ingredients. The body butter feels so wonderful and is great for dry skin. The ingredients for the body butter are shea butter, oil, essential oil, and corn starch. The best part is you don't have to heat up the shea butter as this recipe does not require a stove. You can also make the butter in different scents, depending on what essential oil you use. 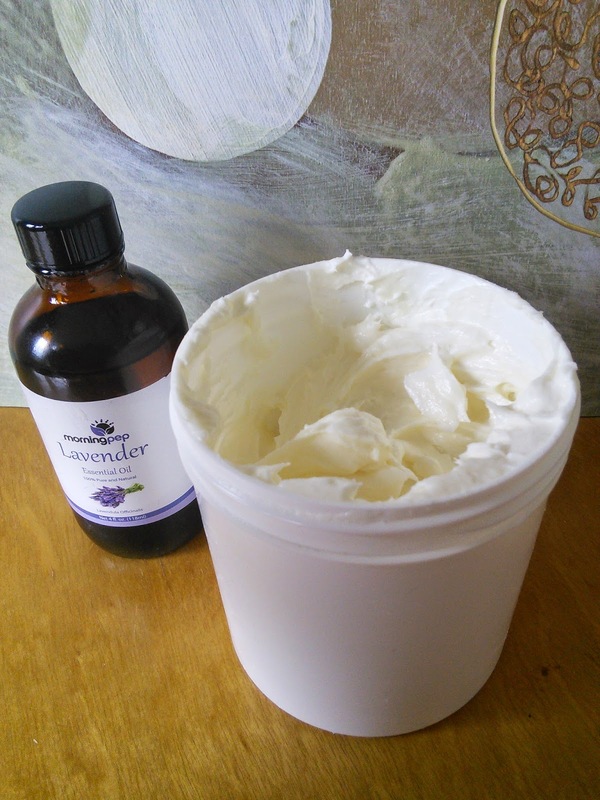 I am going to show you how to make a lavender body butter using lavender essential oil. Lavender is a great scent to help calm and is great to use at bedtime. I like to spread my lavender body butter on my feet and hands to help me fall asleep. Since this butter is made with natural ingredients, you can use this on babies to help them fall asleep. 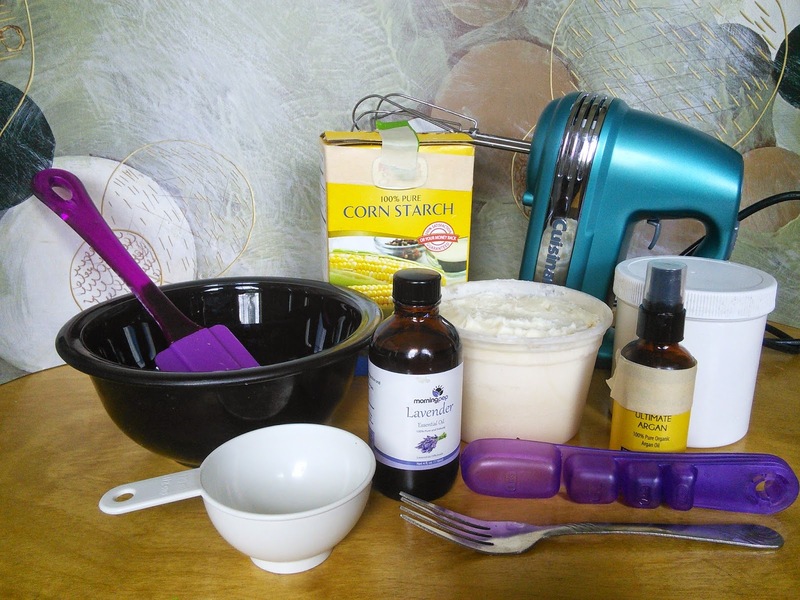 Here are the items that you will need to make your whipped body butter. 4 oz (1/2 cup ) unrefined shea butter. 2 tablespoons base oil; I used argan oil but you can use coconut, jojoba, or olive oil. Clean empty 8 oz or larger container with a tight fitting lid, a fork, a spatula, measuring cups and spoons. 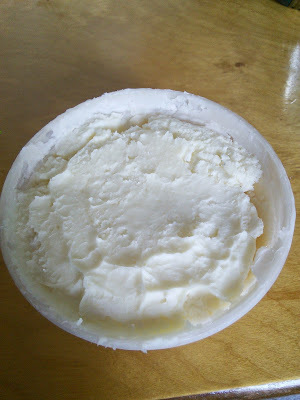 This is what the shea butter looks like. 1. 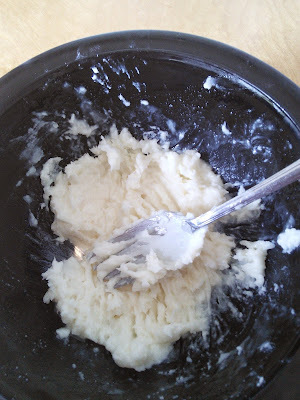 Mash your shea butter and oil with a fork until it becomes soft. 2. Then use the hand mixer to whip the shea butter and oil together for about 5- 10 minutes, scraping the sides of the bowl as necessary until the butter is creamy. About half way through the mixing, add the Lavender Essential Oil. 3. Add the cornstarch and mix until blended in the butter. I like to use cornstarch to make the butter less greasy and it helps the product absorb better into the skin. 4. Place the body butter into the container with the spatula. Since homemade whipped shea butter does not contain any preservatives, do not make larger quantities than you can use in few months. To protect your shea butter/whipped shea butter from contamination, always wash your hands before you touch it. You can use other essential oils in this recipe for different scents. I love lavender eo. This recipe looks awesome. Oh I can smell this already. Sounds so good. Thank you! This sounds like it would be amazing! I bet it smells wonderful! Looks great!! I've never seen Shea Butter in a store up here, but I'll have to look online!! Thanks for the info! I want some essential oils. They all seem to do awesome things. Saving this recipe -- I love body butter! I bet this smells amazing. I haven't tried a body butter before. I like that your product doesn't contain any presevatives. Yum! This looks amazing! I have tried body butter and it's the most moisturizing thing ever! Want to try! I love homemade body butter! We use lavender oil a lot. My kids are always quick to ask if that is what they need when they get hurt. This is amazing. I've actually been looking for a recipe like this. Oh this looks great! Plus easy to make! It does look easy to make -- thank you for the clear instructions! I need to make this ASAP!! It looks amazing. I need to make some of this! I have all the ingredients! Big fan of shea butter. Thanks for the mixture. Hmm.. an ant problem? Yeah I do, near our front door! The product LAVENDAR oil is so much liked by the kids.Their mother also like this oil also.this oil is very good for the child .Every mother can use this oil.